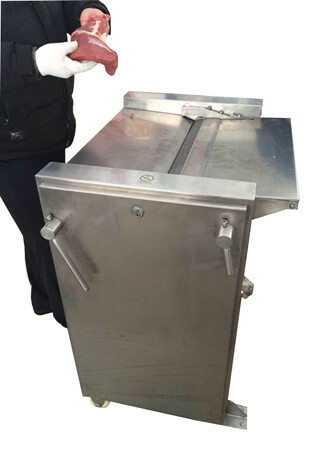 Membrane skinner is to remove the membrane in beef, pork, mutton and other meat to ensure the quality. The pneumatic device can ensure the cleaniness of feeding roller at any time. 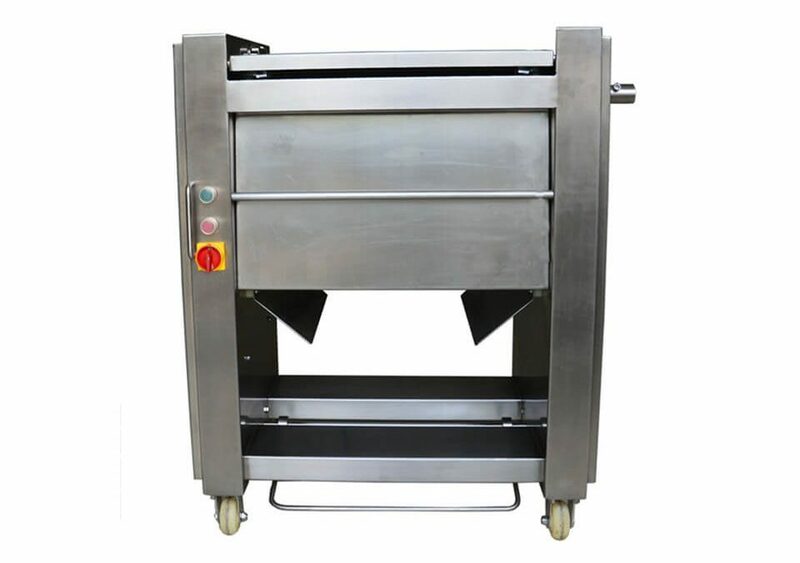 Meat derinder is easy to operate and has low loss of meat. The cutting thickness is easy to adjust. 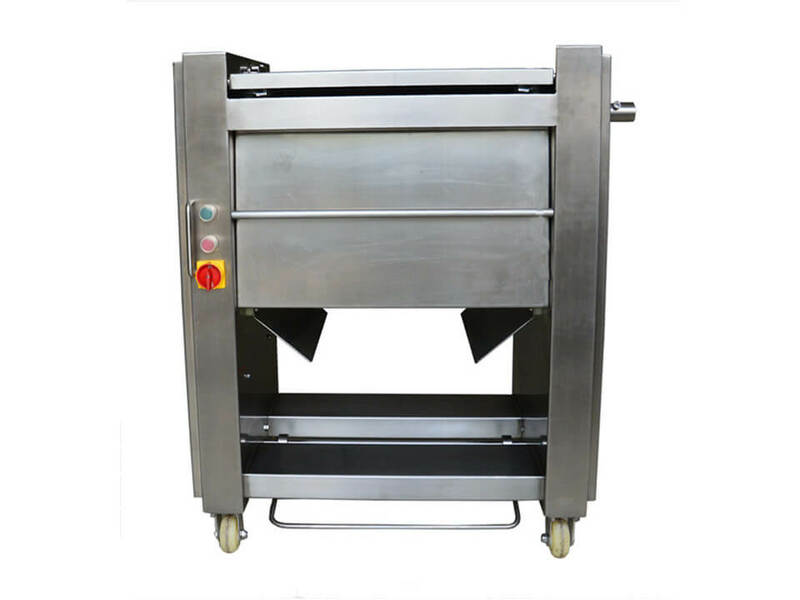 The derinding machine is exclusive in skinning white membrane, especially for beef, pork,veal, chicken, mutton, lamb and horse meat ,etc. saving much time and labors for butchers trade. 1. The unique tooth roller design ensures an efficient and low cost way with little skilled labor. 2. Seamless welding and radius edges of meat skinning machine structure make it easy for cleaning. 3. 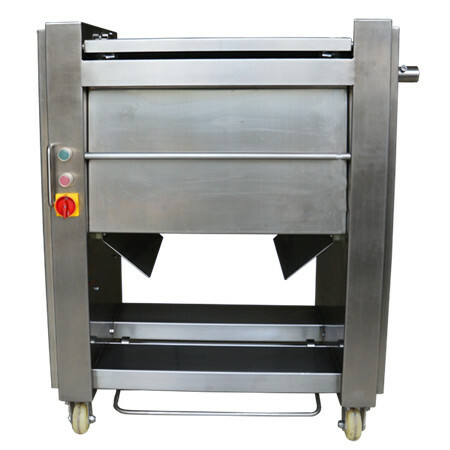 The whole machine body is made of long lasting stainless steel, durable and sanitary. 4. All major mechanical components of the derinder are accessible through a single access panel for easy maintenance. ☆ A membrane skinner can optimize the meat processing yield and increase the profitability by providing healthy lean meat for customers. ☆ The skinned fresh meat fully meat the fashion concept of “ healthy eating”, fulfilling the high expectation of quality-oriented customers. ☆ The derinding machine can save trouble for housewives which make the fatty meat simple and fast to prepare. ☆ Skinned meat products that are appetizingly presented at the sales counter will not only increase its values but also stimulate sales. Membrane is a white substance that is of high fat in beef, veal, pork, etc. Membrane skinning is a process to remove the membrane and all connected sinews from the meat surface. The white fat will dissolve and float in the water and need hours to cook, getting rid of them is a troublesome things. So many consumers today tend to buy meat with membrane removed already. 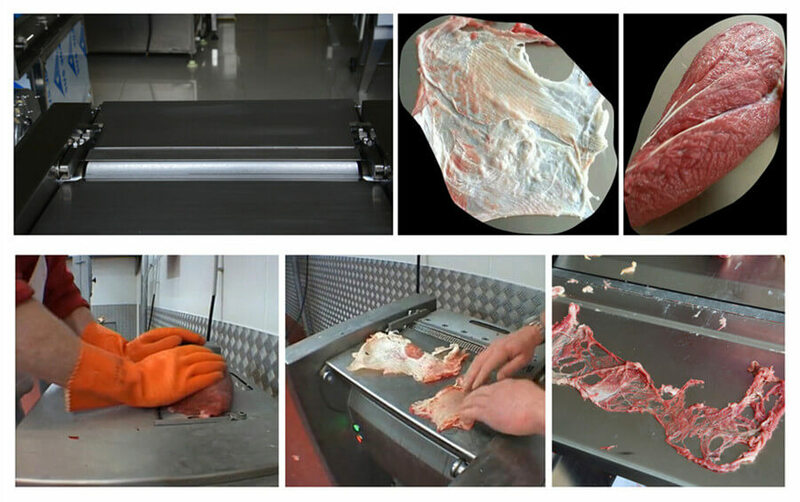 That is why meat processing industry need membrane skinner for bulky meat processing.